The Belarusian authorities have recently shown interest in developing business education; evidence of this can be found in the Concept adopted by the Belarusian government in 2015. However, the Ministry of Education has not yet done much to adjust state regulations to match the situation on the ground. Three key problems exist today. Representatives of the government, the international community, and business educators would do well to focus on them: state regulations, poor integration into the international educational space and lack of affordable business education in the regions of Belarus. These are some of the conclusions found in a new analytical paper Belarusian Business Education: from a Command Economy to the Market released by the Ostrogorski Centre today. Business education is probably the education sector most sensitive to the economic climate. Whereas neighbouring countries, such as Poland or Russia, experienced a boom in business education in the early 1990s – due to an increase of the private sector share of the economy – in Belarus the business education sector grew slowly. Belarusian business educators did not have powerful clients, such as Gazprom in Russia, and resembled training centres oriented towards small business. The rapid growth of the Belarusian economy, accompanied by private sector expansion, was mirrored by growth in the sector of business education, reinforced by business schools at universities and long-term programmes in private business schools. In 2009, economic growth faltered and the business education market shrank correspondingly. This situation was exacerbated by the the current economic crisis. This crisis has left Belarusian business education in the lurch, as it is probably here for the long run. Providers of business education, like many others, will have to adjust to life in this ‘new normality’. Nowadays, the clients of business educators are raising their expectations and demand more of a practical outlook from education offerings. This is apparently connected with the maturing of the Belarusian private sector, which currently assesses and oversees its own effectiveness. At present, four main actors dominate the business education market: the Business School at the Institute of Privatisation and Management, the consulting group ‘Here and Now’, and ‘Business School 21st Century’ (all private institutions), along with the state-run Institute of Business and Management of Technologies at the Belarusian State University. Together, these institutions account for about half of the business education market. According to representatives of business education, the annual scope of the market of private companies has decreased two-fold since the beginning of the crisis in 2014, when it amounted to $6,5 million –$10,5 million. Currently, the market is starting to revive, as many companies believe improving their effectiveness might be a way out of the crisis. In addition, universities have experienced growth in the number of students enrolled in Master’s programmes in business-related specialties. However, this growth has not been felt to the same extent in the regions, where prices for business education remain prohibitive for most entrepreneurs, as their salaries are on average one third lower. Generally speaking, according to market actors, only about 10-20% of business education takes place outside Minsk. The few exceptions include state regional universities offering business-related degree programmes, and the IPM business school, which has opened branches in all the regional centres of Belarus and uses distance learning technologies to keep prices for trainings relatively low. Belarusian authorities have exhibited some interest in developing business education. This is evinced by the adoption of a corresponding Concept by the Belarusian government in 2015. Unfortunately, the targets proposed by the Concept are unrealistic and it is not being properly implemented. For example, it remains unclear how the business education market will grow to $50 million by 2020 in conditions of economic stagnation. Nevertheless, the authorities have accomplished little in the way of adjusting state regulations to the situation on the ground. More concrete plans for the implementation of the Concept will most likely be hammered out after the establishment of the Republican Council on Development of the Business Education System, planned for 2017. The main demand of business school representatives (both private and public) for the upcoming Republican Council is that state regulations be made more pragmatic. For example, many methods used by business schools, such as coaching or case-studies, simply do not conform to the regulations of academic universities. Thus, it is quite natural that representatives of private business schools would like to see the market liberalise as much as possible. Today none of the private providers of business education, apart from the IPM business school, possess the status of ‘educational type-establishments’. This means that they cannot issue state-recognised diplomas in re-skilling and advanced training and they are not eligible for tax benefits enjoyed by state education providers. Obtaining the status of ‘educational type establishment’ is a complicated and labour-intensive procedure. State regulations. Although state officials openly advocate ‘real equality of all actors on the business education market', two key issues remain unsolved. First, private and state business educators are subject to different taxation regimes. Secondly, private companies which do not possesses the status of educational establishments cannot issue state-recognised diplomas on re-skilling and advanced training of specialists. Poor integration into the international educational space. Belarusian business educators struggle with a lack of international accreditation from such organisations as the Association to Advance Collegiate Schools of Business, the Association of MBAs, or the European Quality Improvement System. This is a significant problem on the world business education market. The only exception is the IPM business-school, which has an accredited programme (AMBA) with the Kozminski University in Poland. Lack of affordable business education in the regions of Belarus. As prices for business education are set in the capital, many educational programmes are not affordable to regional business structures. One-day seminars, costing $ 70-90, can only attract the wealthiest regional businessmen, even though demand for such seminars could be quite high. Therefore, the under-representation of business education in the regions creates a situation in which many entrepreneurs are simply unaware of the existence of business schools. According to an analysis conducted by the Research Centre of the IPM, over 40% of surveyed small and medium companies in Belarus do not know of a single business school. As economic stimuli for market growth are absent, the Belarusian government could free sphere from unnecessary regulations which stand in the way of the development of business education. This would foster healthy competition between business schools. State schools too would benefit from deregulation, as they would no longer need to adjust their programmes to regulations on universities from the Ministry of Education. They would also be able to involve investors. The international community can play a positive role by supporting the methodological development of business educators in Belarus. Today, Belarusian business schools require methodological training before they can offer long-term educational programmes. This is especially true for blended programmes which need valid methodology for distance learning. Moreover, foreign internships at Western business schools could be an invaluable experience for business educators who have no one to learn from in Belarus. These measures would increase the quality of work and the competence of teachers at business schools. Given the competition between different business educators, assistance from the international community should be as broad as possible so as not to become a tool in competition. State-run and commercial companies may sometimes fail to meet the requirements of their grantors due to their status. Therefore, associations which bring together various providers of business education are the best fit for receiving foreign funds. Moreover, foreign funds could be channelled into developing education in the regions of Belarus, where prices for business education remain prohibitive. Besides improving educational programmes, Belarusian business educators could use foreign assets to improve their presence in the regions, which would create a new administrative class for Belarusian companies. Belarus joined the Bologna process in May 2015 as part of a phase of soft political liberalisation and rapprochement with the West. However, because the country’s educational system has remained far below the standards set by the Bologna Process, Belarus has committed to implementing a road map of reforms by 2018. However, many experts have pointed out that the real intentions of the Belarusian authorities go far beyond the goals and principles of the Bologna Process. 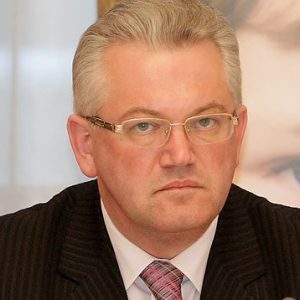 For example, Vadzim Mažejka has expressed the opinion that in committing to the Roadmap, Belarus aimed to lower the duration of study in order to reduce public spending on education. Promoting diplomas from Belarusian institutions among foreign students as 'internationally recognised' would also help reduce public expenditure: fees paid by foreign students constitute a significant share of the incomes of Belarusian universities, sometimes exceeding 50 per cent of their budgets. Imitation of a pro-reformist dialogue with the West has also contributed to the Belarusian authorities’ considerations. On 13 December 2016 the Ostrogorski Centre co-organised the 4th Annual Dutch-Belarusian-Polish Conference 'Education as a Human Right: Modernising Higher Education to Meet the Challenges of the 21st Century'. During the conference, two prominent speakers representing state and non-state positions on education, Dr. Ihar Tsitovich (a vice-rector of the Republican Institute of Higher Education) and Dr. Uladzimir Dunaeu (a member of the Belarusian Independent Bologna Committee), discussed achievements and difficulties in implementing the roadmap. The two experts revealed the fundamental contradictions between the Belarusian authorities and independent analysts in their approaches to the Bologna Process. The authorities highlight primarily technical steps, such as introducing Diploma Supplements, developing modules and the credits system, and introducing changes in curricula. Meanwhile, independent experts point to more fundamental principles such as academic freedom, mobility, close cooperation between the business and educational sectors, international cooperation, education based on students’ needs, co-existence between formal, informal, and non-formal education, etc. According to the Belarusian Independent Bologna Committee, in 2015-2016 Belarus implemented only nine per cent of the roadmap. In many spheres, progress has been negligible. While the fundamental contradictions between the intentions of the Belarusian authorities and the essence of the Bologna Process have become increasingly apparent, its value for the government appears dubious. During the two years since Belarus joined the Bologna Process, growth in the number of foreign students has remained insignificant: less than 1,000 people, or about seven per cent. Moreover, the number of students from Turkmenistan and China – the largest consumers of Belarusian educational services – has decreased: from 801 to 759 students (China) and from 8,342 to 7,911 students (Turkmenistan). One major problem lies in the values of the Bologna Process and academic freedoms. A test of the authorities' limits occurred in November-December 2015. A group of students at the Belarusian State University took a stand against the University’s plan to introduce fees for re-sitting examinations. In spite of the insignificance of the case and the wide range of opportunities for dialogue, the authorities nevertheless chose to rely on repression. The rector of the University even refused to meet with the protesting students. Moreover, in January-February 2016 the Ministry of Education made an attempt to replace the deans of the most ‘oppositional’ faculties, but succeeded in replacing only the dean of the Faculty of Philosophy. A second problem occurred during the Parliamentary elections in September 2016. In Belarus, no one can claim to really know the results of elections. However, some facts point to the growth of protest voting among students. For example, one opposition candidate and professor at the university, Aleh Trusau, claims to have counted the votes of his students. His figures significantly contradicted the official results. It seems that Mikhail Zhuraukou’s inability to prevent dissent among students and the poor results of Belarus’s participation in the Bologna Process contributed to his dismissal significantly. What tasks does the new minister face? During the appointment of Karpenka, Aliaksandr Lukashenka made a clear statement on his vision for the new minister’s work. According to the president, Karpenka is well acquainted with the ideological pillars of the state. The Communist Party enjoys great support from the authorities, who claim that communist ideology remains relevant for Belarus. In November 2016, the government of Minsk unveiled a new monument to Lenin together with the Communist Party in Minsk. Karpenka’s biography also raises questions. The new minister of education lacks experience in this sphere. In 2003-2004 he served as vice-rector at the Belarusian State Pedagogical University. He supervised ideological work and social issues, while activities related to education were not part of his responsibilities. In 2004 Karpenka started his public administration career (as a member of Parliament and then as vice-mayor of Minsk) and returned to the sphere of education only in 2016. Kaprenka is one of a number of critics of Belarus's participation in the Bologna Process. He praises the Soviet educational system, the important role of ideology and forced labour in education, as well as obligatory work placements after graduating. Independent experts, such as Uladzimir Dunaeu, consider Karpenka's appointment 'a step back' for education in Belarus. However, the most important point concerns the authorities’ general attitude towards the Bologna process. In addition to disappointing results, the government has started to feel insecure about the amount of freedom, or even simply hints of freedom, in the academic sphere. The students protests are a clear example of this. It seems that the authorities would prefer stability over uncertain future economic benefits and a chance of protest. Thus, it seems that the main tasks for the new minister are to increase control, strength ideology, and prevent the Bologna Process from resulting in any serious transformation.